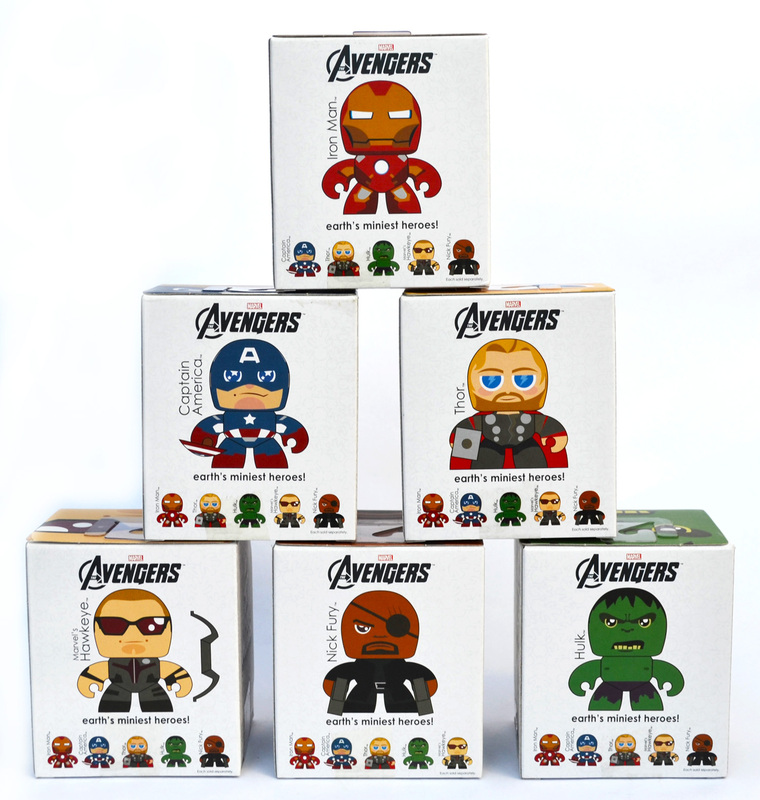 Avengers Mini Muggs | 'TAIN'T THE MEAT… IT'S THE HUMANITY! As if appearing in one of the highest-grossing films of all time wasn’t enough, The Avengers have also been immortalised as Mini Muggs. 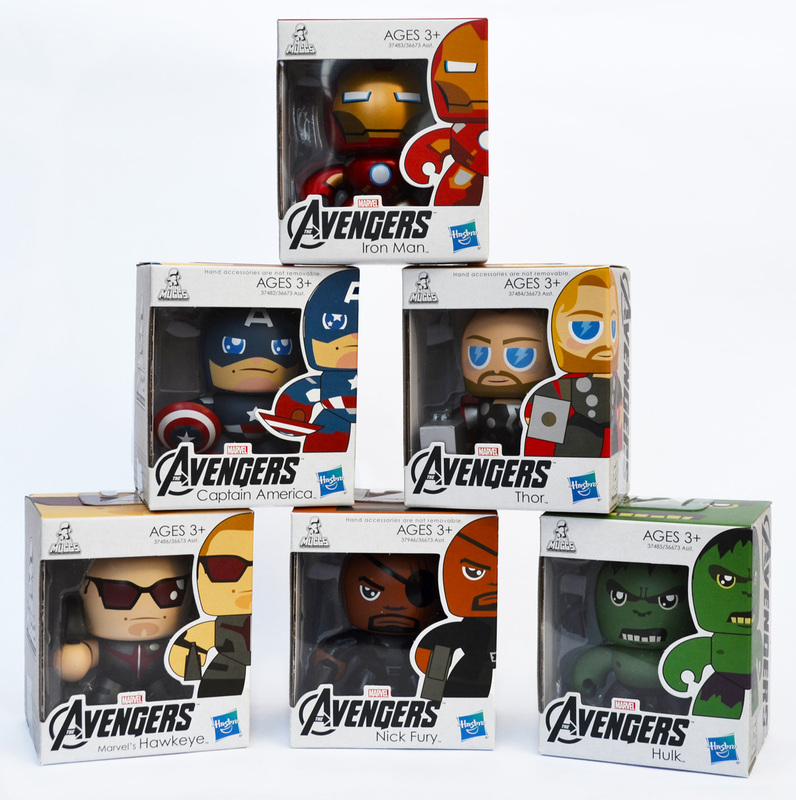 Part of Hasbro’s Mighty Muggs range, these three-inch tall vinyl toys were released in 2012 and feature six members of Marvel Comics’ popular superhero team: Iron Man; Thor; Captain America; The Hulk; Hawkeye and Nick Fury. Sadly there’s no sign of The Black Widow –shame really as I’d have liked to have seen a miniature of Scarlett Johansson’s Russian spy. Typical of the Mighty Muggs range all six toys are well made, satisfyingly chunky and well painted. Each figure has limited articulation to the head and arms and four of them – Cap, Thor Hawkeye and Fury – come with accessories. These super deformed figures are pretty damn cute. I especially like Iron Man‘s shiny armour. The Avengers Mini Muggs: Iron Man! These three-inch versions follow the same characteristics as their six-inch Mighty Muggs counterparts, although I think they look better at the smaller size. 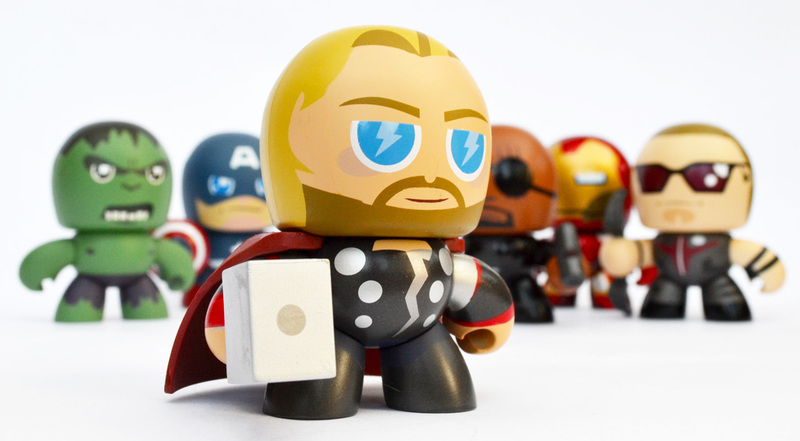 The Avengers Mini Muggs: Thor! The Avengers aren’t the only Marvel characters to get the Mini Mugg treatment: Loki; The Abomination; Red Skull and Iron Monger are also available. 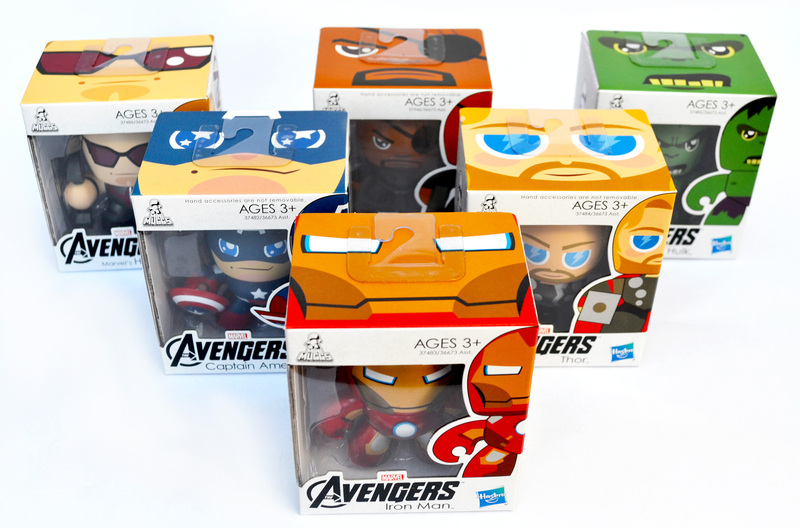 Sadly Hasbro have discontinued the Mini Muggs range but the toys are still readily available; I bought all six of The Avengers from Amazon for just £22 – that’s a bargain at £3.60 per toy. Perfect Christmas stocking fillers for comic book fans I reckon.